These bundles are networking and communication solutions tailored to meet the needs of SMBs with business-class features. 2x WAP 150 Wireless Access Point with POE . 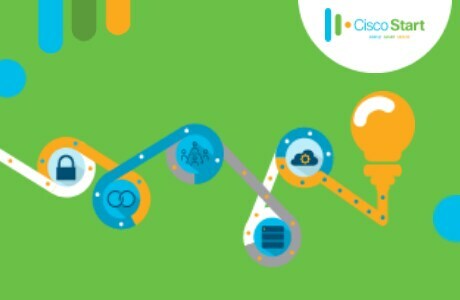 Scale your Network Security with Cisco On-premise bundle at just RM3,699! *Suggested promotional price. Actual price to be agreed between purchaser and reseller. Individual items available for purchase at non-promotional price. Terms and conditions apply . All promotions listed above are only valid for selected Asia-pacific countries and will end on 27 July 2018 unless otherwise stated. Cisco reserves the right to modify the promotion at any time without prior notice. Exclusions and other Terms and Conditions may apply. Please click here for more details. Contact us to find out the details. Customers expect to have access to great Wi-Fi that's easy to connect to wherever they go. Cisco Start Guest Wi-Fi makes it easy to give them access to a reliable and fast Wi-Fi network that’s secure for you and them.